I am having lunch with my parents at Kid Cashew, a newish tapas spot in the Dilworth neighborhood. (I’ve chosen not to order the restaurant’s signature cocktail, Goat’s Breast Milk, which is made with ouzo and amaretto and not a drop of milk.) We have pulled the waiter into our game of “Guess what this used to be?” It’s a favorite pastime of ours in a city that’s paved over so much of its past. I explain how this restaurant used to be Wad’s soda shop, a favorite after-school hangout where a few bucks would get you an expertly grilled hot dog and a large orangeade (a story he’s polite enough to pretend he hasn’t heard before), and I’m suddenly aware that I’m beaming with a hometown pride I don’t often feel. It’s hard to be proud of a place that doesn’t exist anymore. When people ask me where I’m from, I tend to answer “North Carolina,” knowing it’s likely to bring to mind fond associations with any number of lovely towns: Asheville, Durham, Wilmington, Winston-Salem. If I say more specifically Charlotte, the slicker big sibling of those cities, I get a blank stare. Today, Charlotte struggles to outgrow its reputation as a little Atlanta, big on money and ambition, short on historic and cultural charm. 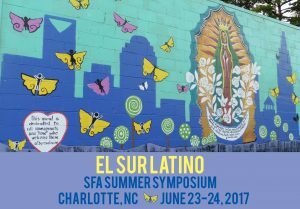 SFA is headed to Charlotte this summer to explore El Sur Latino. 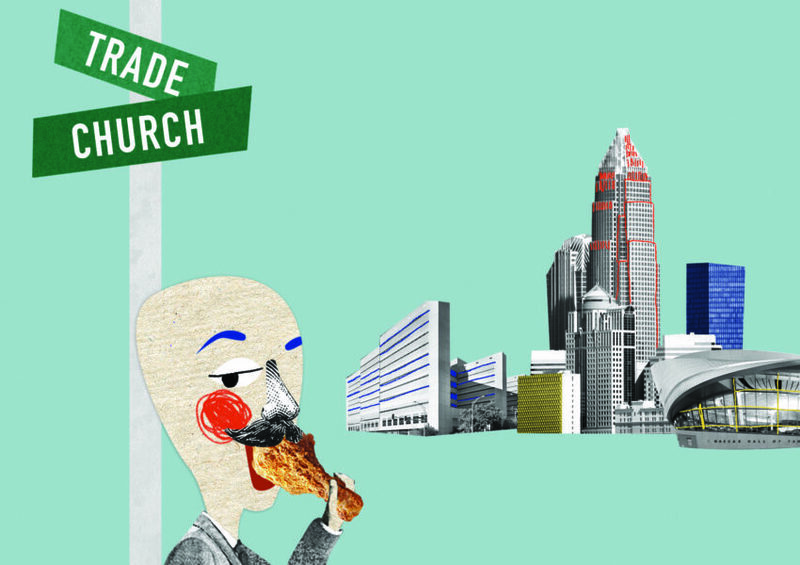 Today, Charlotte struggles to outgrow its reputation as a little Atlanta, big on money and ambition, short on historic and cultural charm. 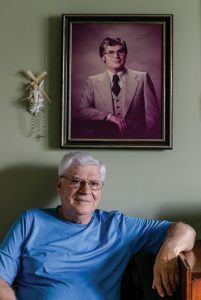 The Charlotte I knew in the 1970s and early ’80s still felt like a small Southern town (population 241,178 in 1970), with an evangelical streak that often clashed with the chamber of commerce. It wasn’t until 1978 that diners could order a mixed drink in a restaurant (no more brown-bagging and pouring drinks under the table), allowing the city to expand its hospitality industry. As more banks consolidated and moved operations into town, Charlotte successfully refashioned its downtown—once eerily empty outside of business hours—into Uptown, a shining example of urban renewal by way of happy-hour drink specials. That same year, IBM opened a manufacturing plant in Charlotte, relocating 1,000 employees and their families from upstate New York. The city had already begun its transition into a banking center, a process that continued to pick up speed: Bank of America would eventually move its global headquarters there, making Charlotte the country’s second-biggest financial center. For years, I dismissed this new Charlotte as shellacked and tacky, overly conservative and embarrassingly uncultured. Lately I find myself looking for signs of that in-between time, when the din of constant construction was drowned out by sounds of high and low culture clashing. It was a place where my music teacher—a classical violinist in the local symphony—occasionally mud-wrestled in bars for money, and where Bojangles’ drive-throughs served the city’s best fried chicken and biscuits. The local pizza joint, Picasso’s, was thus named because the owner thought it sounded Italian. That era of Charlotte—the one that stock car racing, Billy Graham, and the Milestone underground music club put on the map—that’s the one I miss. Charlotte would do well to celebrate more of its down-home history. In a time when perceived authenticity has become a high-value commodity, Charlotte would do well to celebrate more of its down-home history. But only a small handful of landmark eateries—among them Lupie’s Café, Gus’s Sir Beef Restaurant and Price’s Chicken Coop—survive today. Alma and Roberto Mangione stand outside their namesake restaurant, ca. 1977. So while we sit on the patio overlooking this stretch of East Boulevard, we compare our list of firsts and used-to-be’s from that earlier era. The place next door? Used to be Venus Diner, one of several Greek-owned diners in the city. It’s where my parents ate their first meal (burgers, medium-rare) after arriving here from Quebec more than fifty years ago. That empty lot where, before long, condos will rise? That was the old East Blvd. Bar and Grill, whose manager fired me from my first waitress job for neglecting to offer fresh pepper to burger eaters. And up the street, tucked just behind what is now JJ’s Red Hots (formerly The Drum restaurant, the circular center of which is still visible from JJ’s rooftop patio)? That was Mangione’s Ristorante: a white tablecloth, Sicilian family-run restaurant that was the first to introduce black linguine, pasta alla pesto, and other “farinaceous exotica” (as one early review characterized it) to Charlotte. 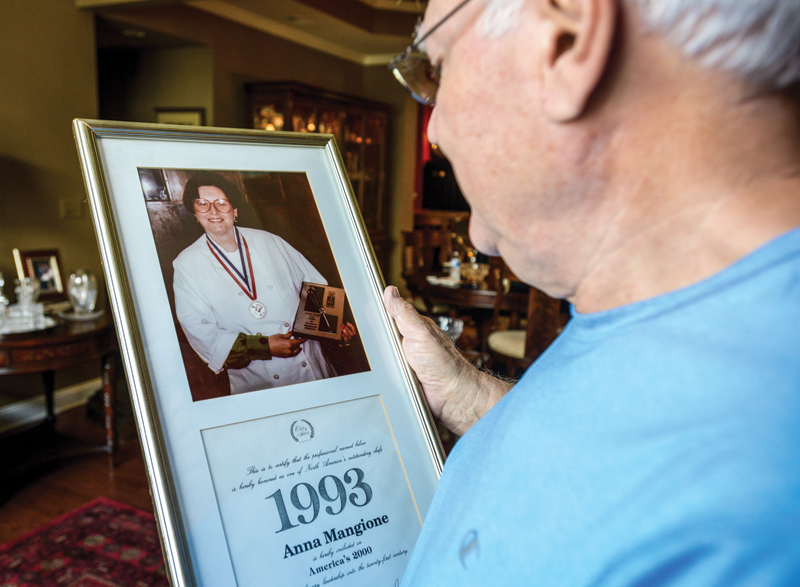 “We taught Charlotte to eat,” says now-retired chef Anna Mangione. “We taught Charlotte to eat,” says now-retired chef Anna Mangione, in an accent that isn’t easy to place. 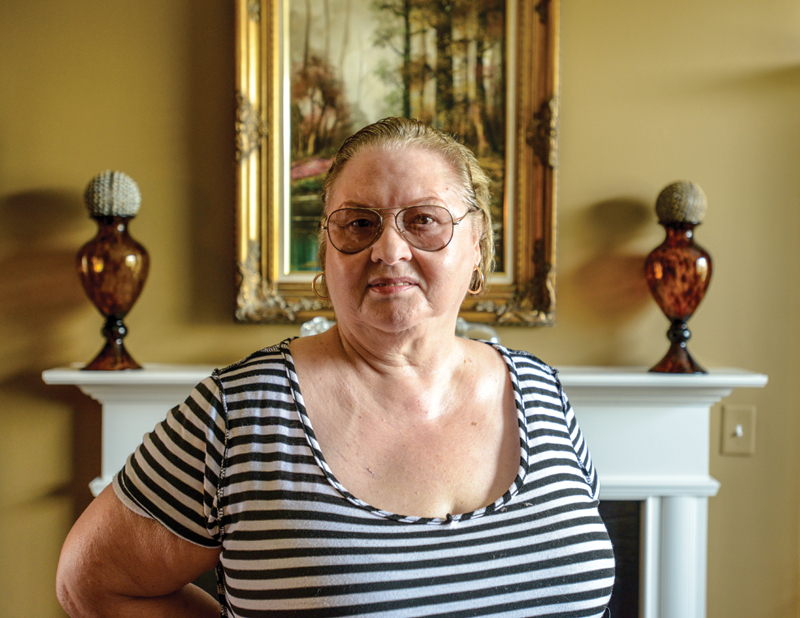 Like other immigrants who left their East Coast cohorts to come South, she picked up the language from locals who spoke in mysterious colloquialisms. Now she speaks her own personal patois, adding syllables to certain words while cutting others short. Her elaborate gestures to say as much as her words. That assumption is often correct, thanks to the wave of predominately Mexican laborers who arrived during the economic boom of the late 1980s and early ’90s. 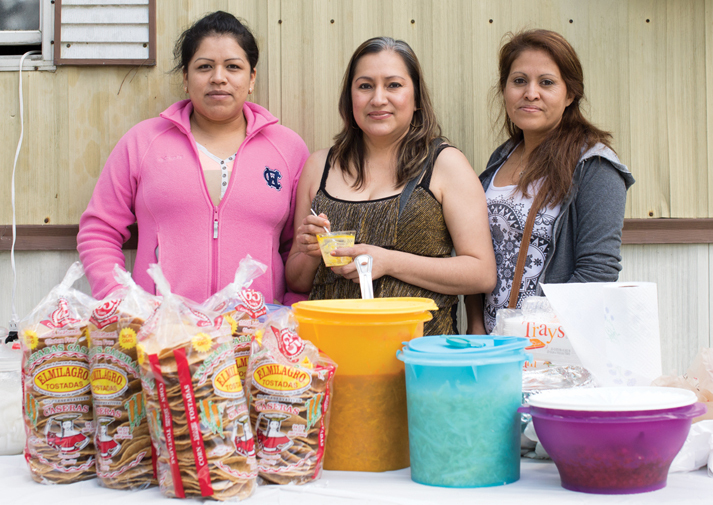 Immigrants from El Salvador, Honduras, Ecuador, and Peru have followed, vastly expanding the city’s culinary offerings along the way. 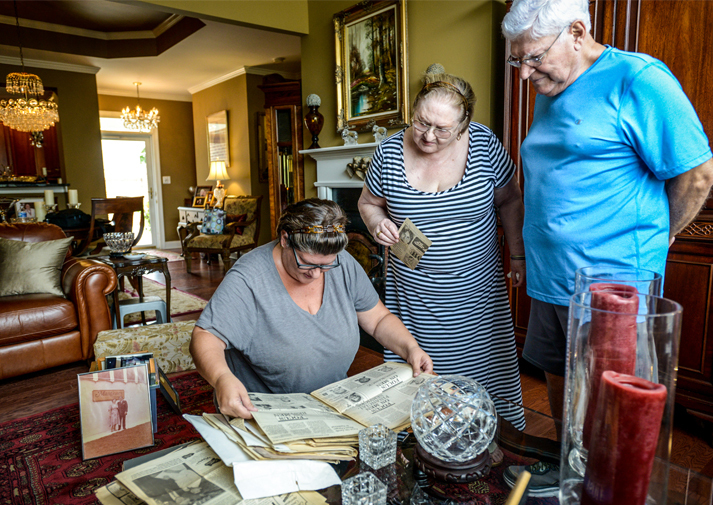 But there was an earlier, smaller wave—a ripple, really—of immigrants who settled in Charlotte in the 1960s. They came not because of the pull of existing community, but in response to serendipitous opportunity. Having come from Italy, Cuba, Hungary, Germany, Greece, Quebec, and elsewhere, many of the them gained footholds in their new home by cooking, serving, and selling food. Margaret and John Mancino owned the city’s first IHOP. Helga Molnar fled the Nazis in her native Czechoslovakia and became known all over town for the German Christmas cookies she sold at the Charity League bake sale. 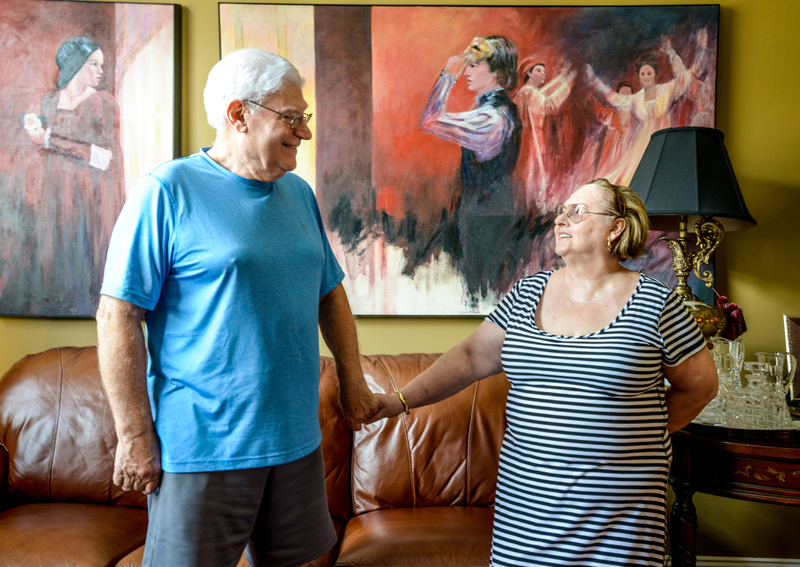 Phil Levine, a second-generation New Yorker of Russian descent, moved to Charlotte when his father took a job with the clothing store Stein’s, and later opened Phil’s Deli. All wove themselves into the city’s fabric long before Charlotte started calling itself a cosmopolitan city. For Anna and her husband, Roberto, a talented tailor who opened a shop on Madison Avenue in Manhattan when they first moved from Sicily to the Bronx in 1963, the South was the land of textiles. 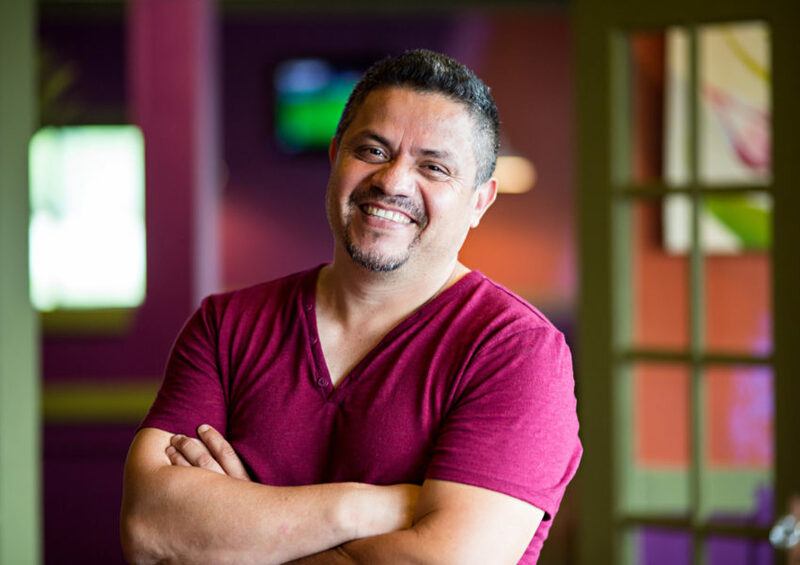 A traveling salesman who had spent time in Charlotte convinced Roberto that bigger and better opportunities awaited him in North Carolina. Meanwhile, Anna started cooking elaborate meals for a rotating cast of friends—Italian friends, Jewish friends, other not-from-Charlotte friends. Sometimes fourteen or more gathered at her table at once. They all begged Anna to open her own place. At first, she didn’t take them seriously. She was just doing what she’d done since she was a little girl working at her father’s deli in Sicily, helping prepare Sunday meals for friends with whatever game the men hunted. Anna and Roberto opened La Strada pizzeria in 1974, introducing thick, crusty Sicilian-style pies to a population that had never seen rectangular pizza. They sold La Strada in 1977 and opened Mangione’s. The restaurant cultivated an upscale atmosphere in the former location of a Li’l General convenience store. Roberto oversaw the bar and the front of the house; Anna ran the kitchen. It wasn’t always easy, trying to coax diners who didn’t know the difference between ravioli and rigatoni to expand their palate beyond the lasagna and chicken parm they were used to. Appealing to Charlotte’s increasingly affluent customers sometimes required indulging in trends more than traditions. In the 1980s, Anna and Robert bought an Italian espresso machine. Even the local food critics, who wrote generally favorable reviews of Mangione’s, didn’t always get it. In the early 1980s, the “Southern Fried Gourmet” columnist from the local newspaper ordered espresso after dinner. Anna recalls her complaining that the coffee cups were too small. When I was a kid, my parents ate dinner out once a week. Fine-dining restaurants in Charlotte had names that seemed designed to scare off a child. There was Slug’s Rib, which served all prime rib, all the time. And the Silver Cricket, where Chris Hastings, now chef of Birmingham’s Hot & Hot Fish Club, got his first taste French brasserie fare. If they were going someplace “nice,” my sister and I usually didn’t mind getting left behind. But we loved Mangione’s. Anna still remembers some of her longtime regulars’ orders. She says that my father liked the veal scaloppine, and my mother ordered chicken Marsala, no mushrooms. Bojangles’ founder Jack Fulk, a regular and a close friend of the Mangione family, made his money on fried chicken and biscuits. When he dined out, he went to Mangione’s for Anna’s rigatoni. While many of Mangione’s regulars were American businessmen on expense accounts, local Italian Americans also frequented the restaurant, and on occasion brought in friends and family visiting from Italy. On those nights, Anna went all out. She made another dish, adding the sauce. And then she added more sauce. And then she added too much sauce. She sent it out anyway and said to the waiter, “Tell him he can wash his feet with it.” Roberto worried they’d lost a good customer. Procuring good ingredients was a patchwork. The Mangiones had their own vegetable and herb garden. They bought pork from one of their cooks, who raised pigs in nearby Waxhaw, and made their own sausage. They drove ninety miles to Greensboro to buy olives. “The only way to get Italian products was to get them off a truck coming from New Jersey on their way to Florida,” says Roberto Jr., who was bussing tables by the age of ten and began cooking beside his mother at fourteen. His sister Sara was the hostess. Roberto Jr. hasn’t been back to see the old restaurant, which his parents closed in 2004. It is now Big Lebowski’s, a restaurant-bar that serves fried pickles to sports fans. He works for Oracle, selling computer systems to restaurants and hotels. A few times a year, he gives talks at culinary schools. He’s discouraged by students who seem more interested in personal brand-building than in actual cooking. Contemporary expressions of the New South culinary scene are typically found in immigrant pockets—the taco trucks and strip mall Vietnamese places typically thought of as twenty-first-century phenomena. 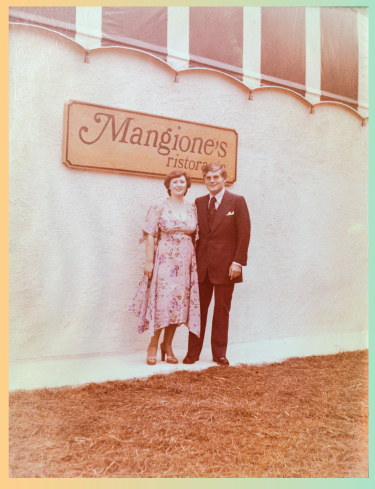 Italian restaurants like Mangione’s were an early precursor. These were places owned by people eager to assimilate. Instead of building an immigrant community, they carved out their own niche. Today, if Mangione’s were still in business, it would compete with the all-American, high-end chains like The Capitol Grille or The Palm that tend to flourish in Charlotte. By comparison, it might be considered more of an upscale trattoria, less of a fine-dining establishment. I wonder if it would be celebrated as a longtime local favorite, and not an international eatery. Charlotte dining has come full circle, even if epic expansion has yet to yield many world-class restaurants. Kid Cashew, where I contemplate Charlotte past in the company of my parents, is one of more than thirty North Carolina restaurants in owner Giorgios Bakatsias’s portfolio. The restaurant’s name references the owner’s childhood pet goat, and the menu includes lamb burgers and gyros. Few of Bakatsias’s restaurants have such an explicitly Mediterranean identity. It remains to be seen whether Kid Cashew can keep the early buzz going now that Babalu, another small plates restaurant, has opened across the street. Based in Jackson, Mississippi, Babalu Tapas & Tacos serves Latin-flavored Southern food, such as Mississippi Delta tamales. It isn’t Mexican, or Mediterranean, or Cuban—and that may be what characterizes a successful restaurant in Charlotte today. Cynthia Joyce teaches journalism at the University of Mississippi and is the editor of Please Forward: How Blogging Reconnected New Orleans after Katrina.